Here we go. After what must have been one of the most contentious, crass and anxiety-inducing presidential contests in the nation’s history, Election Day is finally upon us. Polls close at 8pm, after which the results-watching parties will get into full swing. San Jose Inside will make the rounds to get some reaction from local candidates and take photos of the night as it unfolds. We’ll live-tweet some of the action, so make sure to follow us at @SanJoseInside for the latest. If you haven’t already cast your ballot, be sure to do so before deadline. For a refresher on the 17 statewide initiatives, 32 local measures and myriad local races on the South Bay ballot, take a look at our archived election coverage right here. To find your polling place, enter your home address into this search bar on the Santa Clara County Registrar of Voters (ROV) website. Vote-by-mail ballots have to be postmarked with today’s date, so get on that sooner rather than later. Or, drop it off at any of the locations listed on this page. Plan to commemorate the occasion with a selfie? Take it outside the voting booth, ROV spokesman Philip Chantri advises. Until a new law legalizing voting booth selfies kicks in on Jan. 1, he said, they’re officially frowned upon. Once you cast your vote and collect a sticker to prove it, take advantage of some Election Day perks, like a free Krispy Kreme donut or complimentary coffee at 7-Eleven. Uber and Lyft are offering discounts on trips to the polls, while Zipcar will comp the ride. Maybe line up a ride home for later, if you plan to—understandably—take the edge off with a drink or few at an election watch shindig. The high-stakes presidential contest has apparently taken enough of a psychological toll for people across party lines to seek mental health counseling. A recent poll commissioned by the American Psychological Association (APA) found that more than half of adults called the 2016 election a significant source of stress. The APA offered a few tips to cope, such as tuning out of the round-the-clock news cycle and reading only enough to stay informed. If you’d rather stick it out for one more night, there’s a quicker fix. The Village Voice’s “voter's little helper” guide suggests which intoxicant works best for certain election-induced mental maladies. Once properly medicated, it’s time to brace for the outcome. National results will live-stream on a bunch of different YouTube channels, including The Young Turks, PBS NewsHour, Telemundo, Democracy Now, Bloomberg and MTV News, to name just a few. BuzzFeed teamed up with Twitter to create a nifty little landing page that will start streaming live results starting five hours before the polls close in California. For your 420 fix, tune in to CannabisRadio.com, which kicks off a six-hour broadcast at 3pm dedicated exclusively to marijuana legalization measures in California and beyond. Locally, election officials plan to post the first round of returns shortly after the polls close. Here’s the link. Updated results should post every hour or so after that. But no need to stay behind your laptop obsessively refreshing that link all night. Mingle with fellow voters at an election watch party. SoFA Market hosts one that starts at 6pm. Other spots to hit up: the South Bay Labor Council, the Santa Clara County Democratic Party campaign HQ at The Plant, San Jose State’s student get-together at 4th Street Pizza or Donald Trump's Sunnyvale hub. 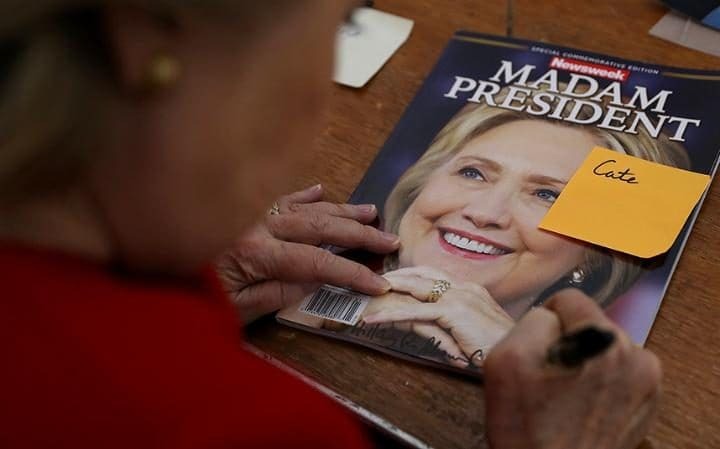 By the end of it all, some 100 million individual ballots will get whittled down to 538 votes in the Electoral College, which ultimately picks the next president. San Jose Inside will scatter across the valley to Election Night parties and see who’s winning, who’s losing and what they’re drinking to cope. I’ll watch FOX news or OAN thanks. Champagne at 9 ? I will never think of Trump as my president or his wife as a First Lady. Never, ever, ever. > I will never think of Trump as my president or his wife as a First Lady. So, who IS the president and First Lady of your country, and what are you doing HERE? You might want to get back to your country before the wall goes up or you might get trapped here. Odd, I have felt that same thing about Obumer and wife for the last 8 years. This morning the sun came up and there were flowers in my garden, but I’m still stuck in Kaliforia! Mr. Bubble head, you ask what I am doing here and to go back to my country. Why don’t you go back to yours. You should be the first to fly back to your country before the civil unrest starts. Please don’t respond to this because I don’t care what you write or say. You same the same thing over and over like some broken down record. > Why don’t you go back to yours. Because I like it here. Donald Trump is soon to be my president and his wife will be First Lady. Taxes will be cut, prosperity will increase, lawless people will be put in jail, and we’ll all be safer. > You should be the first to fly back to your country before the civil unrest starts. If you’re planning civil unrest, could you and your mob please start with Sacramento. I’m sure they will be easily intimidated and won’t put up any resistance. Plus, if Sacramento is shut down, the rest of us will be better off and more free. After celebrating with a couple of New York steaks, Idaho potatoes and a bottle of Trump champagne I certainly do! Do you suppose Frank Mocker drown in his bong?